RAS or 'Restaurant Aan de Stroom' is a completely new concept in the iconic building of 'Zuiderterras' or 'the South Terrace', rebuilt in 1991 by the famous Antwerp architect Bob van Reeth. The new interior was designed by the Antwerp interior architects of Co.studio, alumni of Van Reeth. The young & super talented Rinus Van de Velde made four monumental charcoal drawings, tailored to RAS. And last but not least, the restaurant offers fresh and pure cuisine -for lunch and dinner- while focusing on seasonal local produce. The overall picture? 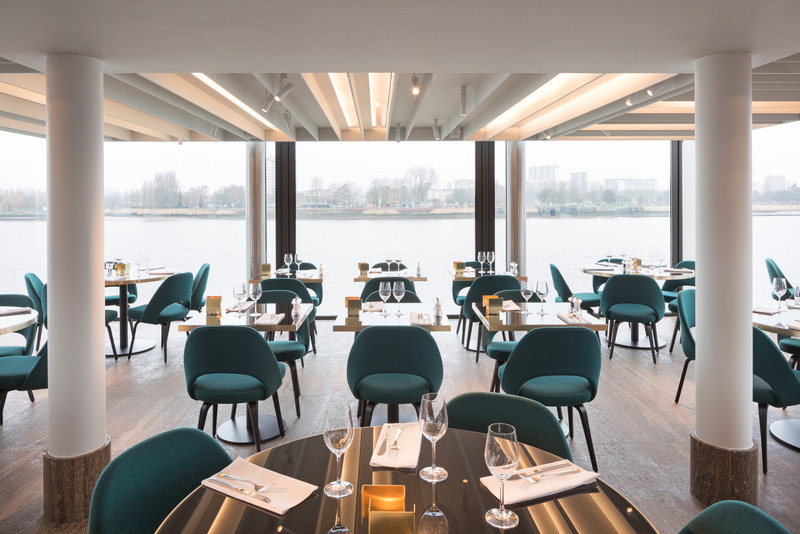 Fine dining in a rich, cozy, art-loving setting overlooking the River Scheldt.